South Korea’s out-of-home dining establishments are facing a wave of restructuring amid changing eating habits and harsher business conditions. It is not just mom-and-pop stores that are coming down. Food service subsidiaries of some of Korea’s largest conglomerates are also streamlining their restaurant business and shuttering directly-owned outlets, according to industry sources on Tuesday. Major food company CJ Foodville closed nine stores of its Korean buffet restaurant, Gyejeol Bapsang (Season’s Table), this year. The first buffet exclusively devoted to Korean dishes created a splash when it first opened in 2013. There were as many as 54 outlets at its heyday. Today, that number has shrunk to 40. 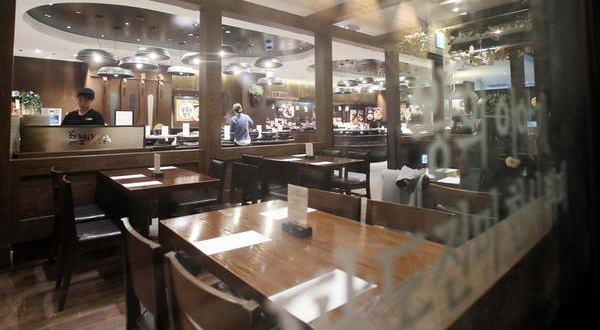 The popularity of Gyejeol Bapsang led to a rapid mushrooming of similar Korean buffet restaurants. One of them was Olban by the country’s retail giant Shinsegae Food. But like its predecessor, Olban has also closed three stores so far this year and reportedly plans to fold more poor-performing operations among its remaining 12 outlets. Another local food giant SPC Group has also shed two stores this year from its Glucks Schwein chain, a German style deli pub. Global fast-food chains have not been immune to the industry-wide downsizing. Earlier this year, McDonald’s announced it would shut down its branch in Sinchon Station, a landmark site that had served as a meeting spot for nearby university students for over two decades. McDonald`s opened its first store in Korea in 1988 and today has 448 stores across the country. But its pace of growth has slowed considerably in recent years. The chain opened just two new stores in 2016 and 11 in 2017, a marked drop from the 2000s when it added 40 to 50 stores every year. Changes in eating habits are the biggest factor behind the shift in eatery establishments. Industry observers point to the rapid rise of one-person households as one of the major social changes shaping the dining lifestyle of Koreans. The number of single-person households has more than tripled over the past 30 years and are now the most common living arrangement in the country, accounting for 28 percent of all households as of 2016. By 2045, this figure is expected to reach 36.3 percent. The food industry has evolved in response to this trend toward solo-eating, broadening the selection of home meal replacements and delivery services. With so many affordable and quality dining options available, experts say, more people are choosing to eat in than out. The 52-hour reduced workweek and steep minimum wage hikes that went into effect this year may also have contributed to the downturn in the restaurant business. According to Korea Closing Support Association, an organization that helps small companies and merchants that went out business, it has received 914 calls this year through November, up 28 percent from the same period last year. Most of the calls came from restaurant owners, accounting for 60 percent of all cases.